With more than 40 years combined experience, you can be sure that we will give you the personalized, individually tailored lesson plan and/or training program for horse and rider. 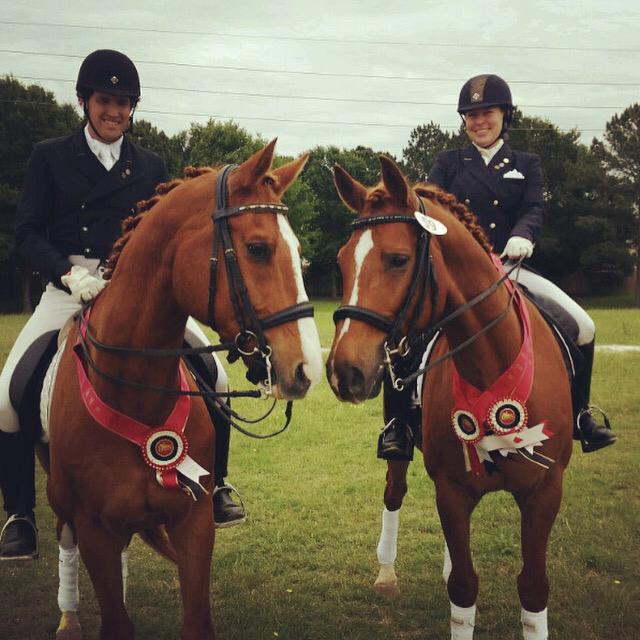 We want you to achieve your goals, whether that be competing in recognized competitions and going for your USDF medals or if you simply want to enjoy a deeper, more meaningful relationship with your horse. The word "concordia" means harmony in latin. First and foremost, we are dedicated to the well being of the horse. In training we are dedicated to amplifying what nature has given the horse through classical schooling. This excludes the use of force and intimidation to train the horse. We reject any unnatural contortions of the horse to achieve training results. We follow in the tradition of the classical schools of riding such as the Spanish Riding School and the Reinstitut von Neindorff that enhance the majesty of the horse through quiet, correct riding. We are dedicated to perfecting our equitation, so that we may aid our horses in the most harmonious way possible. We believe in an academic approach to training in which we use exercises to systematically gymnasticize our horses to build them into powerful athletes. We are dedicated to building the horse up both physically and mentally. We are also dedicated to bringing classical dressage into the show ring. One of our goals is to show that classical dressage can win in the competition arena. 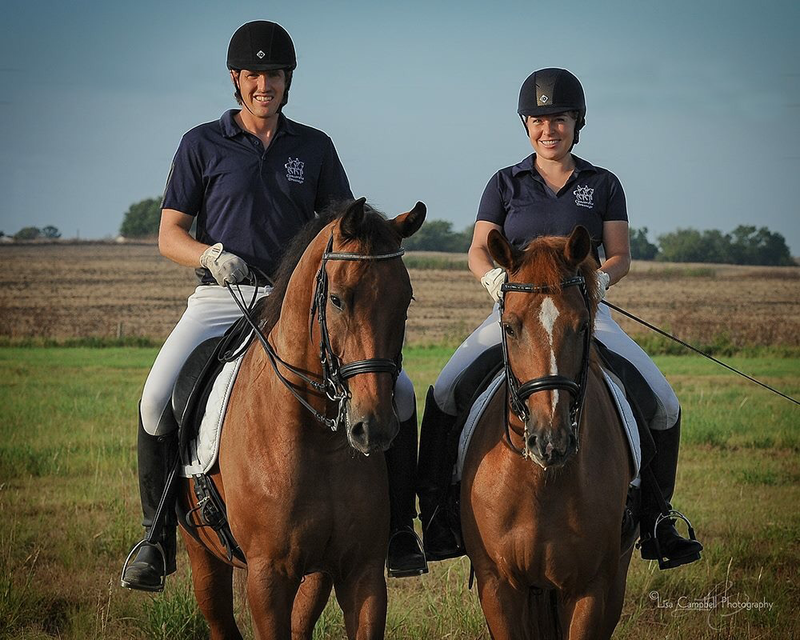 We want to be role models for the younger generation of riders in how to treat our beloved horses and stand out due to our quiet elegant riding that brings out the brilliance in our horses. In teaching, we are dedicated to teaching our students to have compassion and be empathetic towards their horses. Fostering our student’s attitude towards the horse is vitally important in creating an atmosphere that puts the horse first. We are dedicated to improving our student’s equitation and aiding, so that they will enhance their horses movement instead of breaking it down and we are dedicated to helping our students achieve success in the show ring without resorting to shortcuts to do it. We are dedicated to your success!!! Jenna and Martin are dedicated to continuing their education and have ridden in clinics with JJ Tate, Charles de Kunffy, Jeremy Steinberg, Scott Hassler, Lars Petersen, Walter Zettl, Eddo Hoekstra, Chris Hess, Janet Foy, Oded Shimoni, Lars Holmberg, and others. Both Jenna and Martin were fortunate enough to participate in the Young Horse Dressage Trainers Symposium in 2013 and 2014. In 2014 they attended the FEI Trainers Conference in Wellington, FL and Jenna participated in the Young Rider Graduate Program. They host regular clinics with Charles de Kunffy, JJ Tate and Jeremy Steinberg at their facility in Coupland, TX near Austin.